This week and next DA Buzzing will begin to roll out five new weekly columns. We are excited about the new columnists and hope David Archuleta fans will enjoy reading them each week. All of the columnists will enjoy hearing from their readers, so please comment and send feedback, uh, buzz. DA Honeybees thrive on buzz! 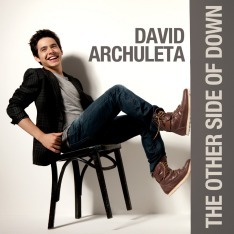 bigarchiefan’s growing David Archuleta CD Collection now has 73 songs. She will choose one song to highlight each week with an in-depth review of the song and its writers and producers, perhaps an analysis of lyric and melody, and a discussion of David’s voice. A look at today’s music world — the trends, changes, and challenges. Katheryn may draw upon Billboard charts, album and single sales figures, and radio airtime to provide the facts to support her analysis. And she’ll probably throw down a tough question for us to ponder! former high school columnist restores her love of words, puns, poems, puzzles and the letter B takes on a new meaning. pikepss recaps the news, events, and stories of the week. A little repetition never hurts, especially on the Internet where visitors come and go on variable time schedules. pikepss will tell us what happened in the World of David. David news is never old news. What a lovely job — looking at David’s mug. What a difficult job — choosing only one to focus on each week. But topazjazz will choose one, analyze the ‘lights & darks’ of it, the artistic merits, and credit the professional, amateur, or fan photographer.